pop on over to my blog for details how I created this piece. Hi Tando fans! 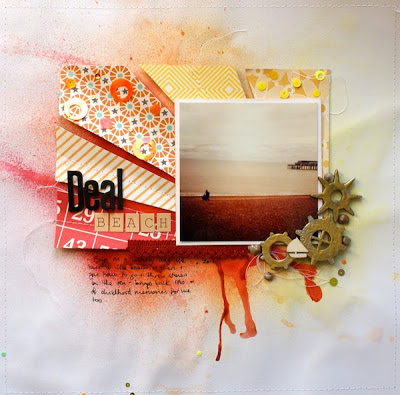 Dana here sharing an arch I created for the Paste theme this week. I'm so not enjoying a fifth straight day of rain, so I made this piece as a pick-me-up. I started with an Arabian Style Layered Arch Frame and a book page. I used a portion of the gorgeous Poppy Mask and some molding paste to add dimensional flowers to my piece. Once the flowers were dry I painted them with Twinkling H2Os, and before they dried, sprinkled the petals with glitter for some extra shine. 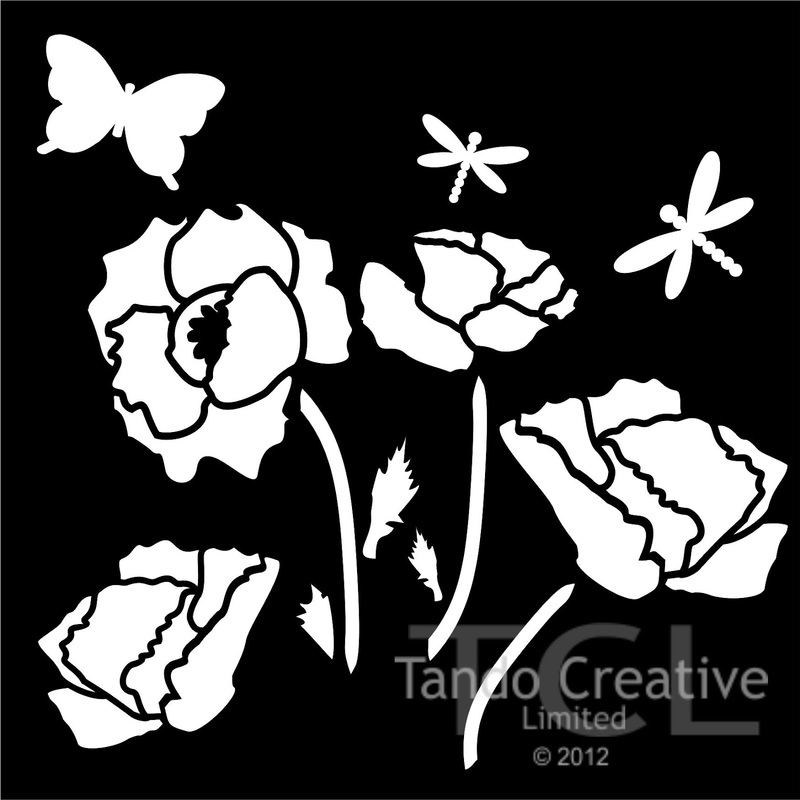 I usually pair my flowers with butterflies. This small butterfly is part of the Butterfly Mask. This mask features a selection of butterflies that match the Tando Butterflies Grab Bag. The black area represents the mask. 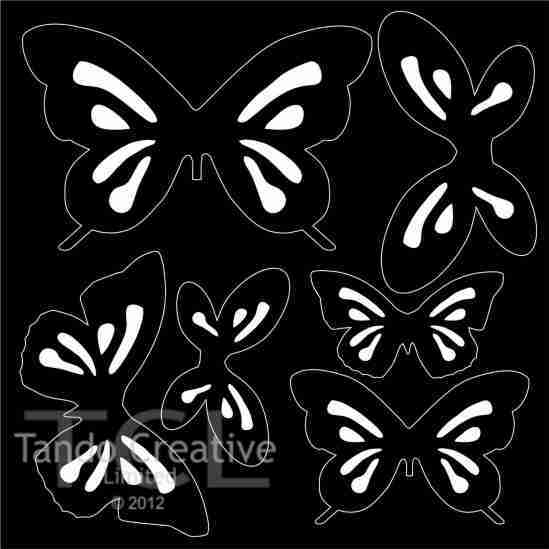 The butterflies are separate from the background mask which makes this a 7-piece set! Hi, Caro is here and I'm starting the new week with a new theme: paste. So here's my project - I have used a wavy tag and parts of the random circles mask. I hope you like my project and that you'll come take a look at the projects of the other dt members the rest of the week. Hi Tando fans! 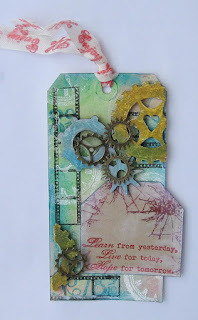 Dana here today sharing an ATC I created for the Distressed theme this week. Tando chipboard is almost indestructible, so to make distressing easier for myself, I soaked my Artist Trading Card in water until the layers began to separate. I pulled the thinner top and bottom layers from the thicker middle layer and let them dry overnight. 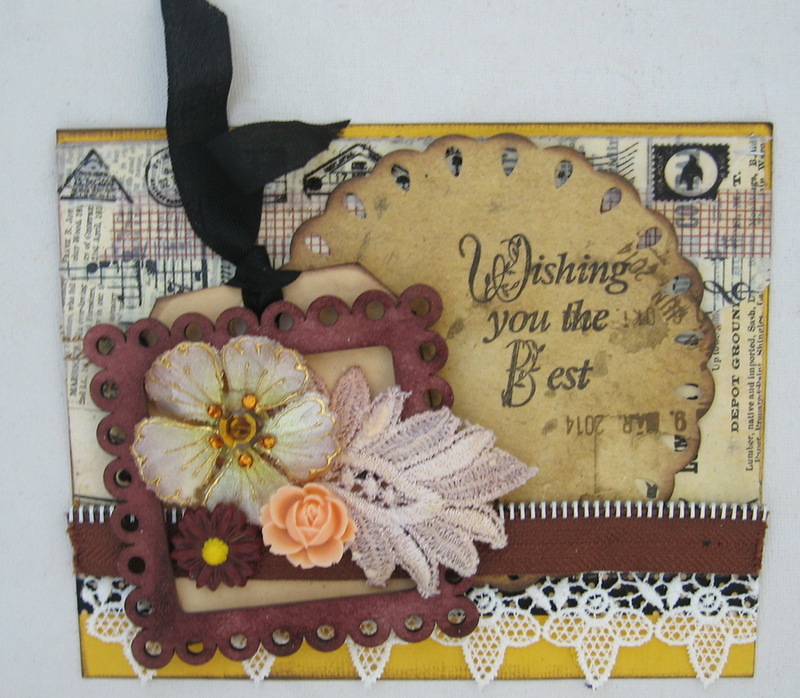 I used one of the thinner layers for the top, distressed piece of this card, which I then adhered to the thicker middle layer for added support. I set eyelets around the edge of the top layer and stitched some twine through the holes. I cut slits with a craft knife and opened them up a bit to distress the top layer further. Peeking through the holes is a piece of denim. 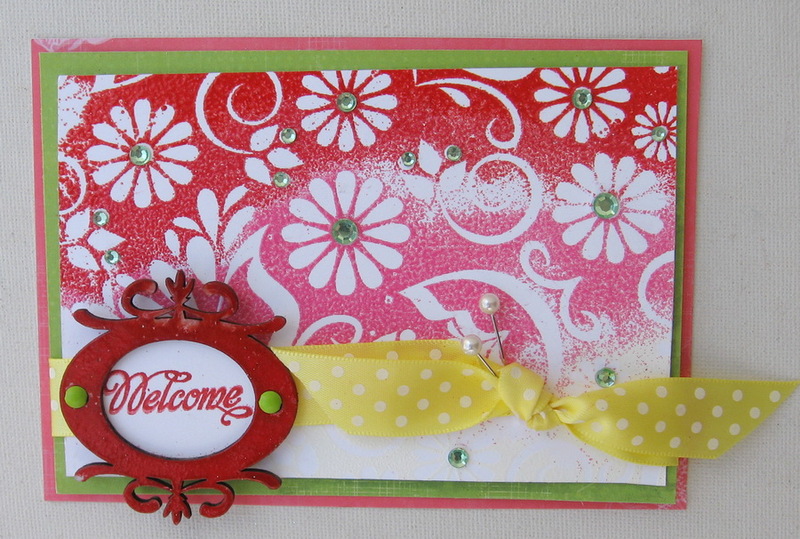 I used gesso, mist and ink to add color to this card and then piled on the embellishments. I thought it would be fun to add some charms to the bottom! Pop on over to my blog for details. Hello, my dear crafty friends! Irit is here and this is my project for Distress week. This is a " replica" of Tim Holtz January tag tutorial, also I made it totally without any Tim Holtz products as a self challenge. 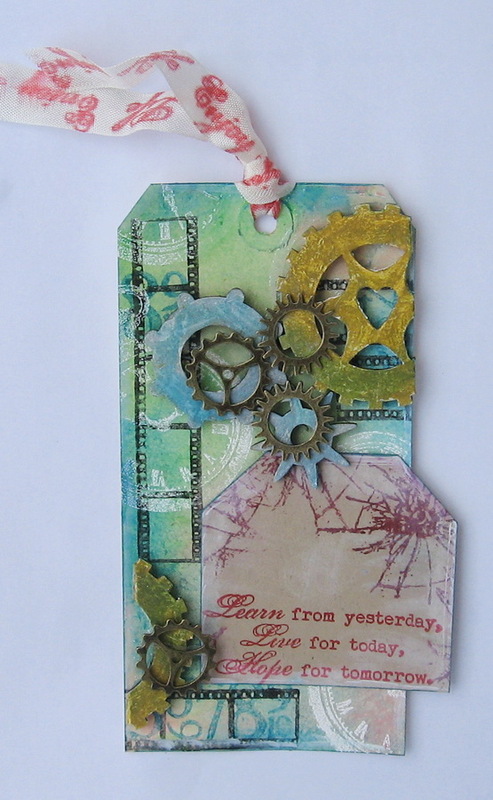 It's stamped (Visible Image stamps), painted (Faber Castell Design Memory Crafts) and Tando chipboard cogs are the main and almost only embellishment over this Mixed Media tag. 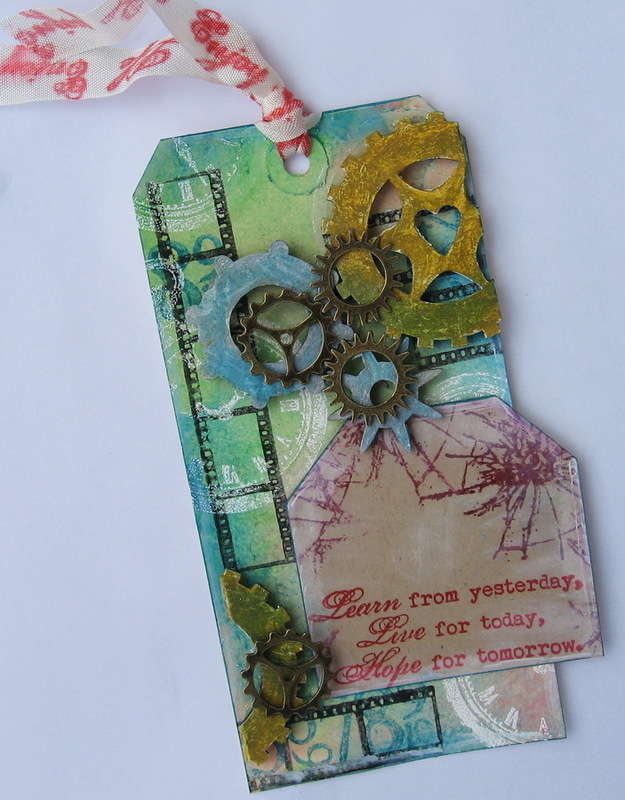 I covered them with Gelatos and Big Brush Pen gold, silvers and blues and added some small brass pieces over. 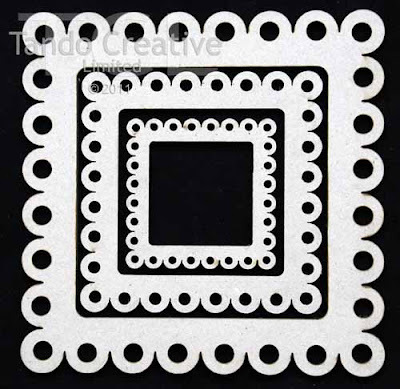 Hope you like this tag and see the potential of Tando chipboards to be used over and over with all possible mediums over them. If you'd like to see more pictures - especially of the inside - please visit my blog! 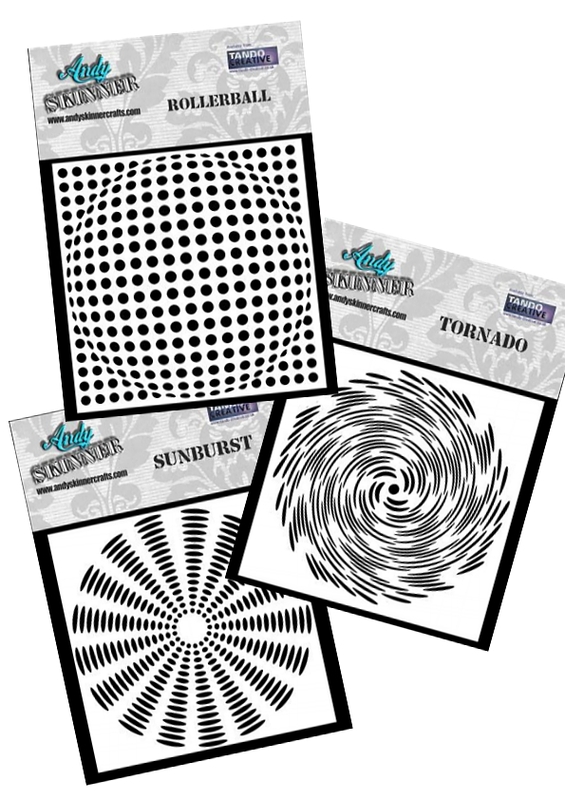 just a reminder that over on our challenge blog there is a new post with more inspiration from another DT member.... there is still time to join us this month and don't forget that there is a great prize up for grabs too for one lucky tandoette! Hello, its Karen here today with some more Distressing/Inking which is our theme for this week. I found a wooden heart tray to use as a backdrop to my chippie. 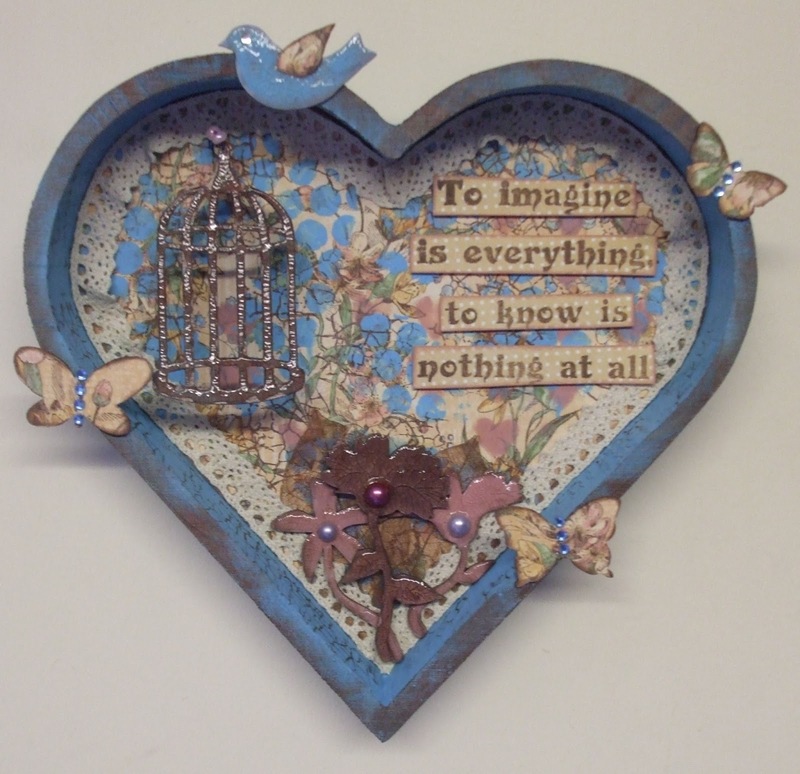 The Tando bird, cage and flowers have been painted with acrylic then crackle accents over the top to make them look distressed. 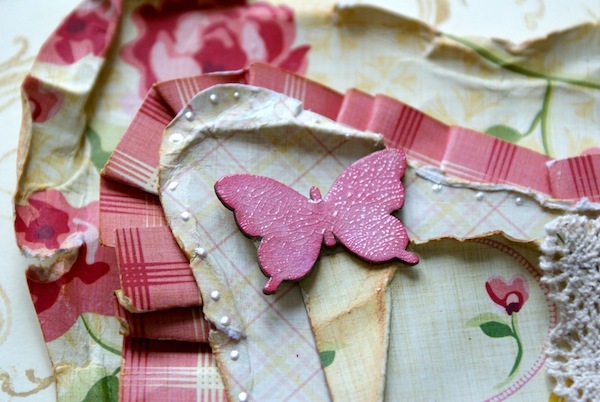 The butterflies have been covered in the same paper as the background. The cage is wired so that it hangs free. Ok...that title just sounds wrong, but the focus this week is on distressing and inking...and the family portrait really isn't distressing. 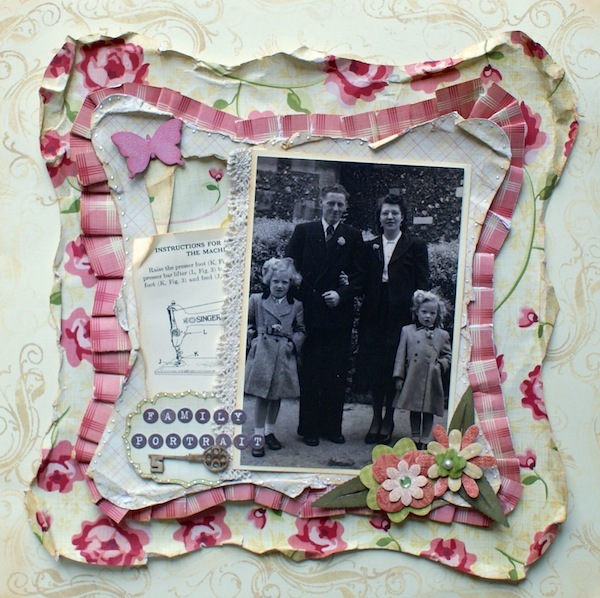 The word distressing sounds vintage to me, and so I had to dig out the crackle glaze for my chipboard and an old photo! I used some of the leaves from the grab bags to supplement my K and Co flower - I wasn't sure I would ever use them but they went perfectly with the papers. I coloured the leaves with green distress ink, then crackle glaze and then went over with a dark brown ink to highlight the crackles. I did something similar with the key but different colours, and then the butterfly started with a layer of pink ink, then a really thick layer of crackle glaze (by now I have read the instructions and bigger crackles require a thicker layer!) and then went around the edge of the butterfly with some red ink too. So all of that makes up my vintage page which was only distressing in the paper sense! Hi, Caro's here. I have a little canvas for you in the colors red, yellow and orange. I have colored the background with Distress Inks and stamped onto. The chipboard of the Wings and Heart Set was colored with Distress Stains, dried and crackle paint rock candy put onto. Here is my very inky beachy page - the colours went really well with a wintry instagram photo I took of my kids messing around the beach. The Tando cogs were the perfect boyish embellishment to the page - I covered them in a mix of layers of gold and silver embossing ink, and then wrapped the cotton thread and shells around them to give it a boaty feel. The theme for this week is "Yellow, Orange and Red" - such bright, vibrant colours to cheer up this cold and damp weather we're all having. 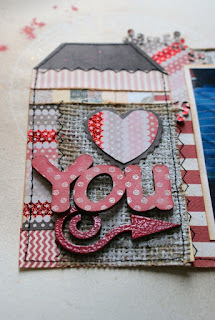 Pop on over to my blog for more details. Pop back during the week to see what other members of the DT have created. 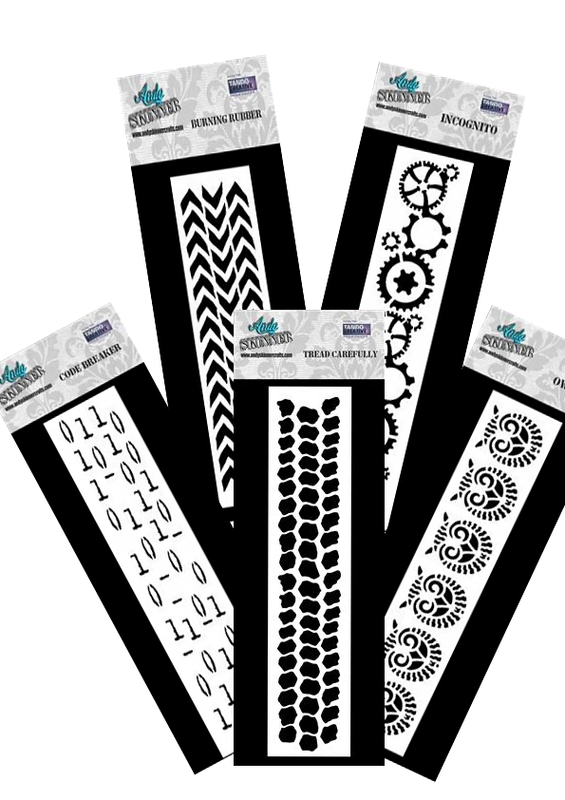 Hello, my dear crafty friends! 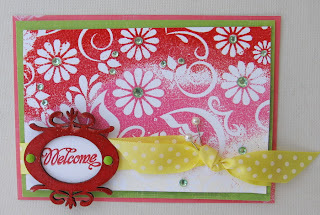 Welcome to our Embossed week! 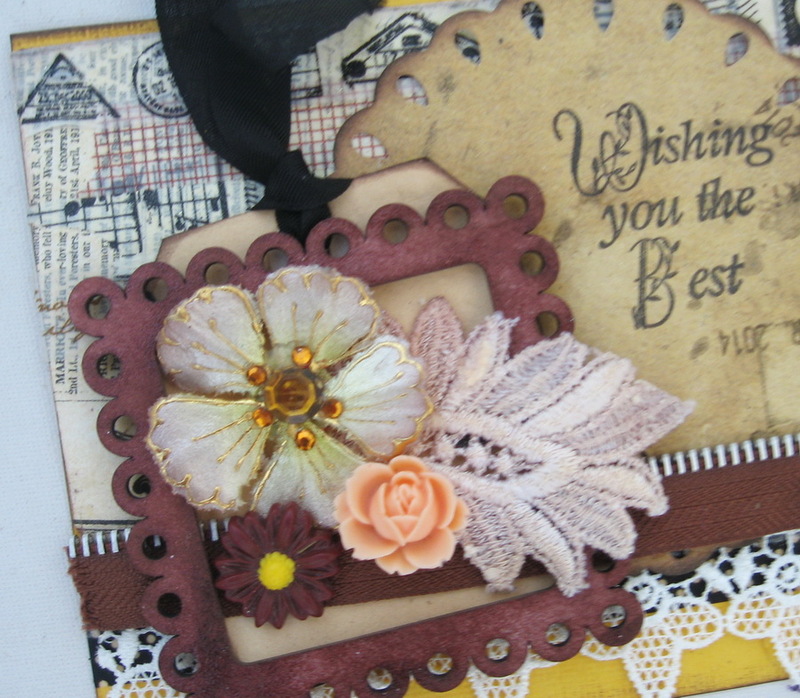 Irit is here with a few of my embossed projects. 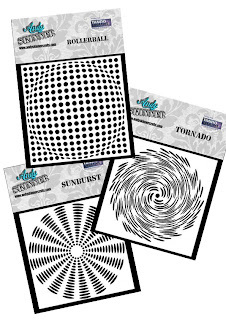 As this is my second year to design for embossing powders company (WOW Embossing Powders is a UK company and this year I design for UK/Global team), I am totally addicted to heat embossed covering of Tando chipboards and here are a few examples of this technique. ﻿For my second card I used a splash of Clear Ultra High embossing powder over this square scalloped chipboard and it looks like some water drops. Make one layer only and do not try to make a full coverage if you like this look. 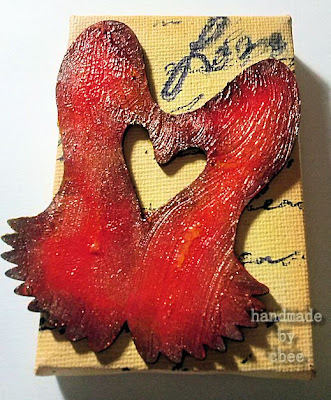 ﻿The last card was made with another Tando bookplate and was covered with Cable Red embossing powder and also I am not sure, but there were more than 2 layers of it. 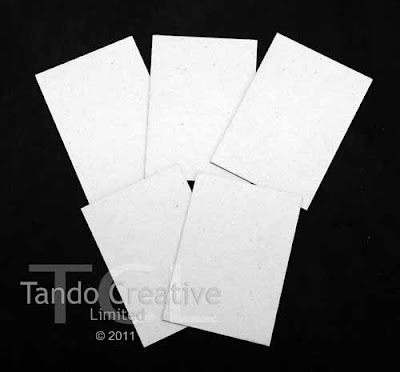 As you can see Tando chipboards are just fantastic to use with all possible embossing powders and it looks like enamel, drops of water or just paint, depends on how many layers of embossing you made. 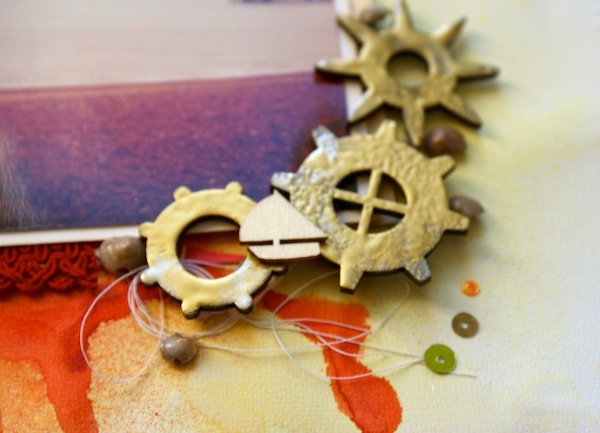 Hope you got some crafty inspiration and see you nest week with more crafty projects. 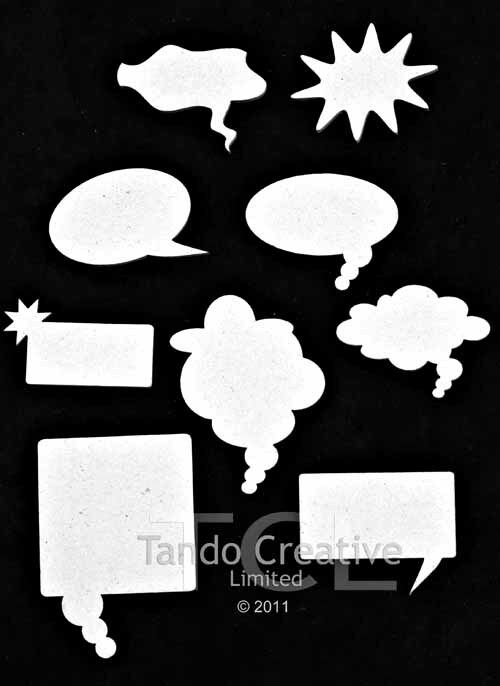 Happy Friday Tando fans! 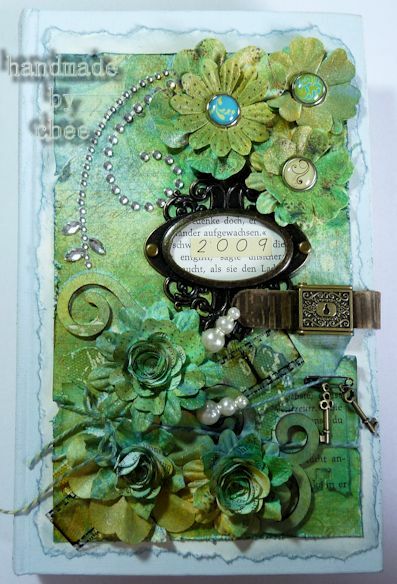 Dana here sharing a layout I created for the embossed theme this week. I used two of my favorite Cuttlebug embossing folders on the chipboard on this page. I love that Tando Creative chipboard is thick and sturdy, two features that make for a great embossed impression! I colored this fun Speech Bubble with several colors of distress ink. After embossing this Scalloped Frame, I covered it with a light coat of Gesso and then a coat of Mello Yellow Shimmerz Blingz. 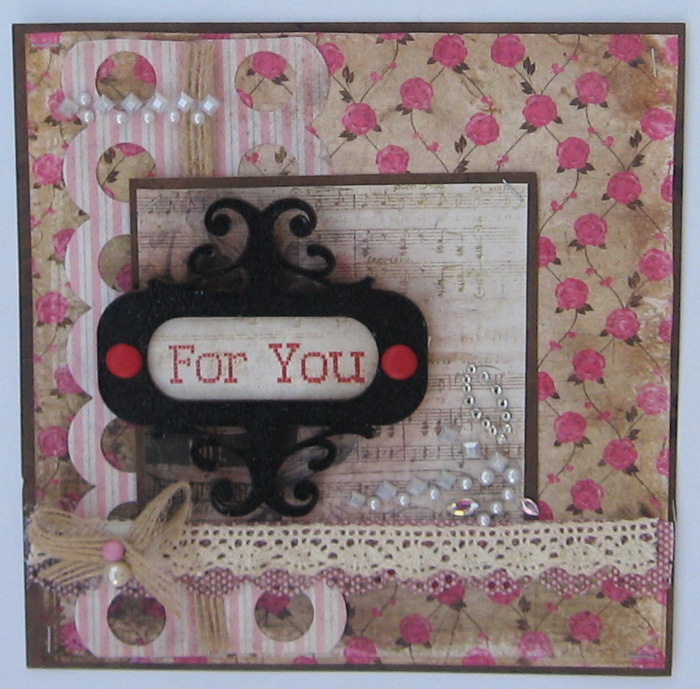 I highlighted the embossed areas with Victorian Velvet Distress Ink. After three layers of wet mediums and a trip through my Cuttlebug, this chipboard piece is still strong with no peeling or cracking! I love polka dot patterns for birthday pages, so in addition to the Swiss Dot embossing folder I used on the frame, I also added some more dots with the Random Circles Mask and some paint. 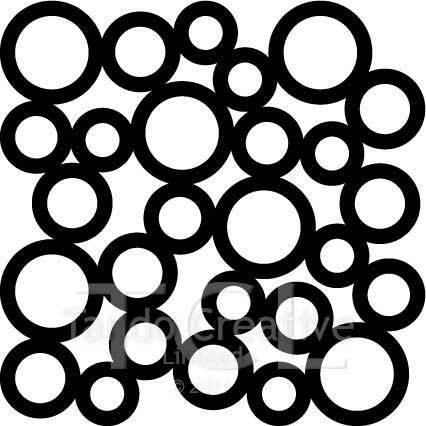 Once the paint was dry I doodled around the painted circles to highlight the pattern. I used one of the painted areas as the base for this birthday rub-on. 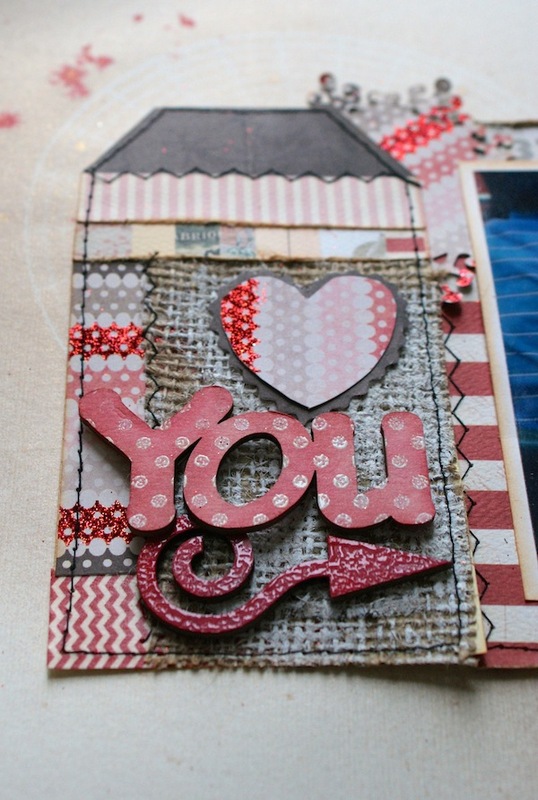 I hope I have inspired you to emboss your chipboard! Thanks so much for stopping by today! Hi, Caro is here. 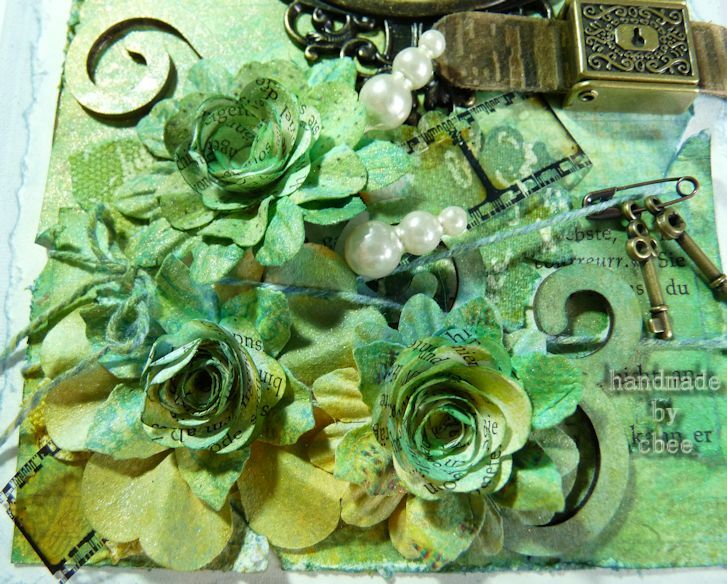 As you know this week we want to show you projects with embossing. 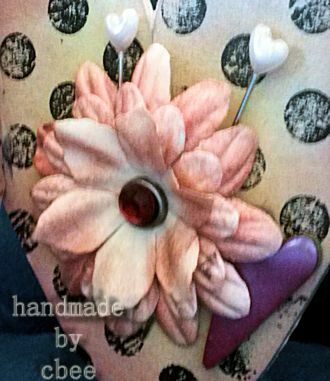 I have chosen to create with the With Love Heart Stand - isn't it fabulous? First I have covered everything with Gesso, then sponged with Distress Ink and the letters are embossed with UTEE. 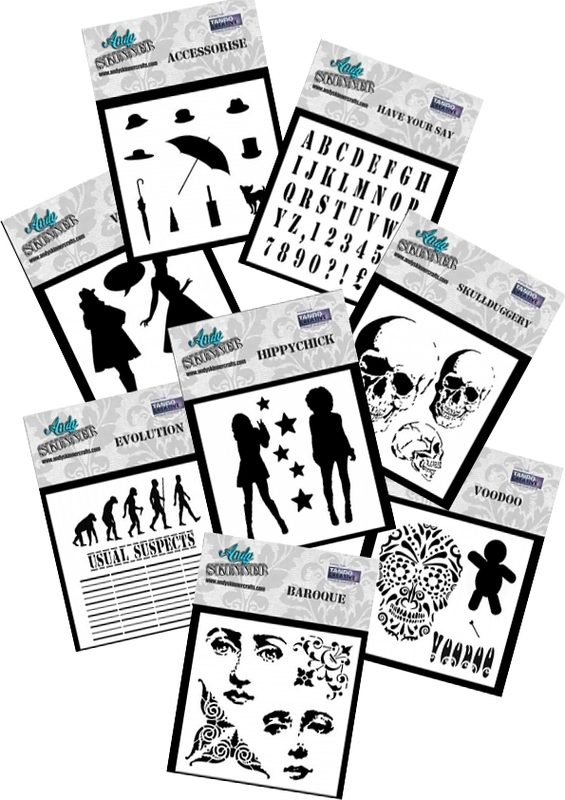 As we are exhibiting at the upcoming Craft Hobby and Stitch Trade Show at the NEC in a couple of weeks time we have got some really exciting new releases planned. 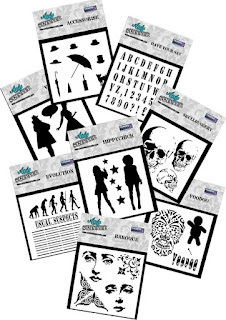 Andy Skinner is a very talented artist and designer and he has put together a series of FANTASTIC masks and stencils. These will be available to buy from some of our stockists before the end of the month so not too long to wait. This weeks theme on the blog is embossing so there will be lots of posts this week packed with ideas.....so I used the word 'you' and one of the arrows from the grab bag. I started by making the tag and then it grew into a page, so if you ever lack inspiration, a tag is a good place to start. I used a resist embossing technique and stamped 'you' with white ink, then embossed it with clear powder and inked over the top with red brick distress ink. 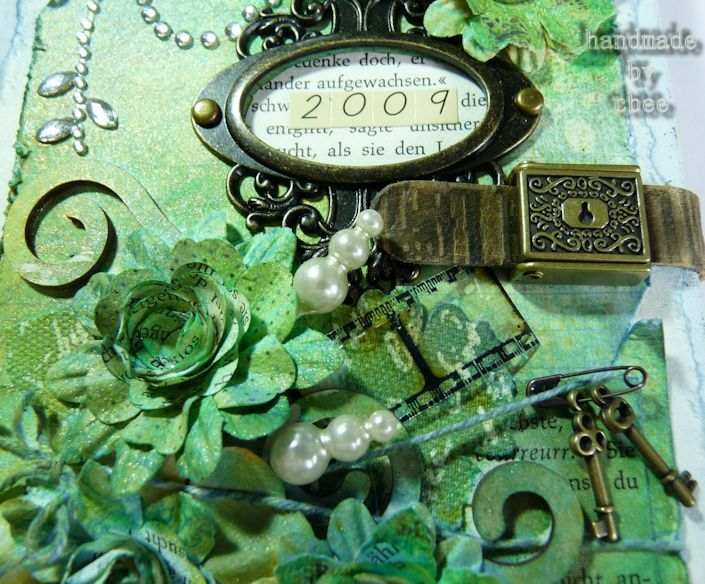 I love using the chipboard words for the title and how well they take just a covering of ink and are easily transformed to match the papers. I also inked up the arrow in red and then added clear embossing powder to that to give it a glossy texture. 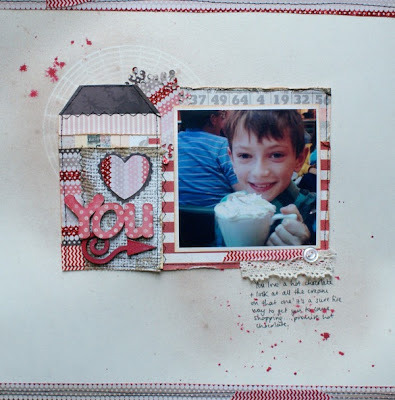 The perfect embellishments that started a page all about my sons love of hot chocolate! Tando pieces used are:- heart, numbers, butterflies, grab bag mini hearts and the swirls are cut from a journalling block....for more details take a look at my blog. Hope you've enjoyed our "Love is in the air...." theme this week and its given you some inspiration for those Valentines cards. Don't forget to pop back next week for another theme.